It makes a lot of sense that Moto Guzzi are attempting to borrow some marketing inspiration from Harley-Davidson by creating a simple, stripped-down naked V-twin, called the Bobber. After all, Harley sold more than 2,60,000 bikes last year, while Guzzi production barely topped 10,000 despite a steady increase of late. Guzzi would love just a fraction of those extra sales, especially in the huge US market where the marque from Mandello del Lario makes little impression, despite its long history of producing V-twin tourers and cruisers. Harley, on the other hand, have long had success with simple models, including the Street Bob and Fat Bob, whose names recognise the bobbers that were originally made by cutting down big American V-twins in the 1930s and ’40s. 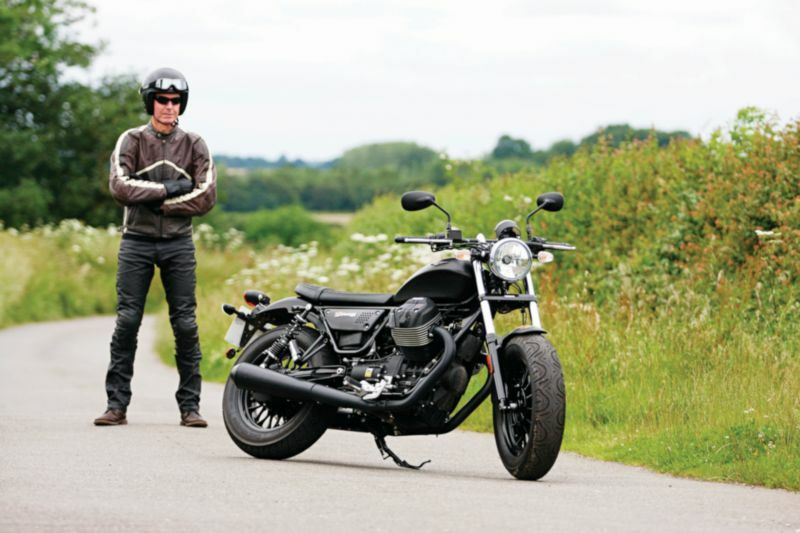 Moto Guzzi do not have that same bobber tradition, but they do have a pair of mid-sized V-twins, the V7 Stone and Special, that in recent years have frequently been modified by their owners to give a minimalist image. With the new V9 Bobber, the factory is essentially doing a similar job itself, while also creating a shinier sidekick, the V9 Roamer, using many of the same components. One shared component is the engine, a new 853-cc unit that gets its capacity from dimensions of 84 x 77 millimetres, against the 80 x 74 mm of the 744-cc unit that powers the V7s. Like the smaller lump, it’s a 90-degree transverse V-twin with pushrods and two valves per cylinder. Cooling comes mainly from air coming past those sticking-out pots, though it does also have a revised lubrication system that incorporates oil jets to help cool the pistons. 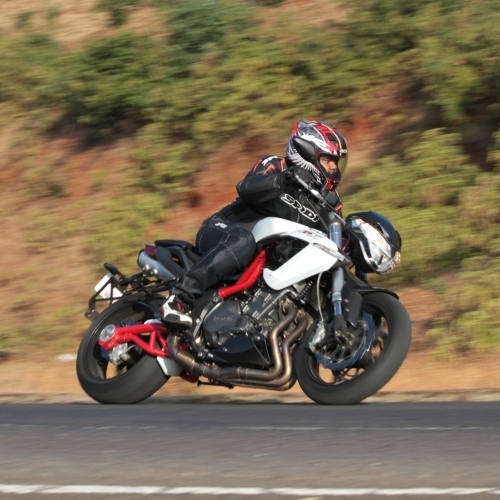 At the bottom end the V9 unit also gets new crankcases, plus an uprated transmission system featuring a beefier drive shaft, single-plate dry clutch, and the six-speed gearbox introduced last year with the V7 II models. There’s a little more power and torque to contend with: a maximum of 55 PS at 6,250 revolutions per minute, up from the V7 unit’s 48 PS or so; and a peak torque figure of 62 Nm that is an increase of a couple of Newton-metres. The Bobber’s chassis is also new, although in typical Guzzi style this involves another variation of the twin-downtube, tubular steel frame and fairly simple, twin-shock suspension layout that has served the firm for half a century. There’s nothing very new about the non-adjustable telescopic forks, which offer 130 mm of travel, nor about the simple shocks, which are adjustable for pre-load only and allow 97 mm of rear-wheel travel. What is eye-catching about the Bobber’s chassis is its pair of finely spoked, 16-inch cast aluminium wheels, and especially the fat, almost balloon-like tyres that wrap round them. The big Contis do as much as anything to give the Bobber its eponymous style, in conjunction with a pair of fairly abbreviated aluminium fenders and a thin, almost bench-like dual-seat that add to the visual impact. 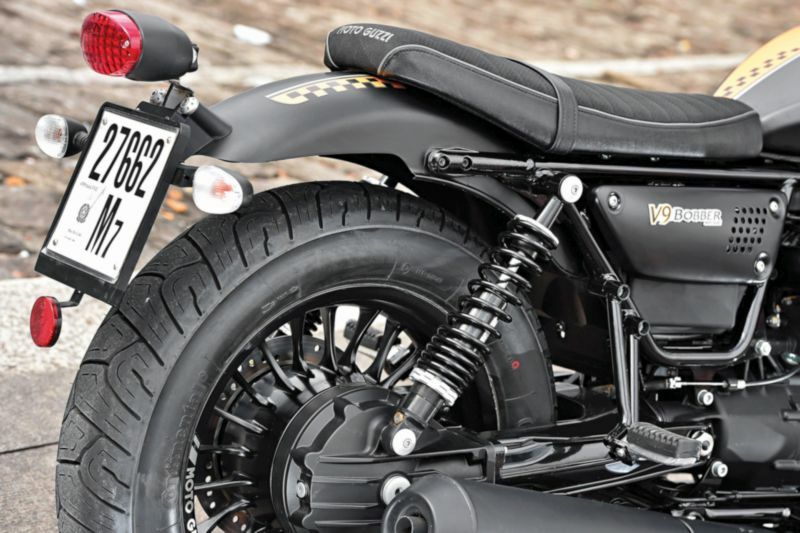 The other vital part of the Bobber’s look is its deliberately downbeat finish. The matte black tank and rear fender have flashes of orange (grey is the colour option) that are almost invisible from the side. And almost everything else is black, including fork sliders, wheels, engine, exhaust, seat, side-panels, and rear shock springs.